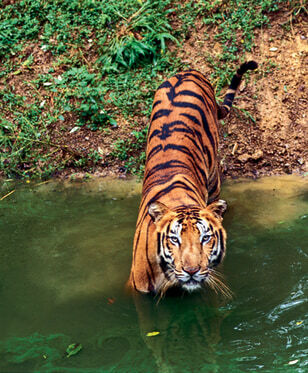 "My favorite place in India is probably the Kanha Meadows," says Toby Sinclair, a veteran conservationist who estimates that he has seen more than 300 tigers, many at this reserve. "I parked under a tree in one of the clearings to have a sleep, and I woke to find a tiger lying about ten yards away. We just looked at each other and then she got up and walked in front of my vehicle and off into the forest," says Sinclair.